Each item listed above applies for retail customers only. 1. Vehicle must be in the same physical and mechanical condition as it was during original delivery. One (1) exchange per customer per year. 100% of the purchase price will be credited in the exchange, excluding tax difference, license, and documentation fees. See dealer for details. 2. The person you refer must purchase or lease a vehicle and must name you as a referrer. See dealer for details. 3. For use in Buerkle Collision Center only. 4. 5% back in the form of Buerkle Rewards earnings, to be used toward future purchases. No cash value. May be subject to expiration. See dealer for details. 5. 60-day, 2500-mile powertrain warranty and 1000-mile comprehensive warranty. Warranty included on select used vehicles only. See dealer for details. 6. All parts are covered with these exceptions: glass, lenses, sealed beams, light bulbs, wheels, wheel covers, tires, interior trim, moldings, bright metal parts, sheet metal, flexible body parts, weather strips, upholstery, convertible and/or vinyl top, paint, catalytic converter, exhaust system, brake rotors and drums, wiper blades, coolant hoses, shock absorbers, batteries, – including hybrid batteries – and throttle body assembly. Spark/glow plugs, drive belts, brake pads, brake linings and shoes, and manual clutch disc. In addition, repairs of water and air leaks, rattles, squeaks and wind noise; alignment of body parts, bumpers, as well as glass, rust, and physical damage are not covered. Any parts or components that are not factory installed are not covered. In addition, the normal maintenance services and parts required or recommended by your vehicle manufacturer and other normal maintenance services and parts, including engine tune up, suspension alignment, wheel balancing and filters. Here at Buerkle Honda, we strive to give you outstanding service and excellent value. Our Buerkle Rewards program is a way to give our loyal customers benefits and perks at our dealership and service center! Rewards members receive points to redeem with every service appointment or parts and accessories purchase. As a member, you’ll also get tons of perks every time you purchase a new or used Buerkle vehicle. Anyone who purchases a new or used Buerkle vehicle is eligible for our great rewards program! We strive to provide you with a wide range of new Honda models. We maintain a complete inventory of Honda vehicles, so you can choose from all the latest and most popular models. You can explore classic choices like the Accord, Civic, and CR-V, or check out versatile models like the Odyssey or Pilot. We’ll make sure that your buying experience here is easy and fun! Stop by and take a Honda for a test drive to see what makes them some of the most popular vehicles in America. Here at Buerkle Honda, we want to make sure you go home with a pre-owned vehicle that you can drive for years to come. Our mechanics fully inspect every used vehicle with a 182-point inspection before it goes on sale. If you’re looking for a certified pre-owned Honda model, our carefully selected models will surely fit your needs. We have some of the most popular Honda models, including the Accord, Civic, and CR-V, all in great condition and ready for a new owner! To get the best life and performance from your Honda, be sure to service it regularly. You can bring your vehicle to our technicians for stellar service and repairs! You can relax in our friendly waiting room and have a complimentary cup of coffee while your car gets its service quickly and professionally. We offer coupons and service specials for your car’s regular maintenance. Our service team is dedicated to getting your beloved Honda back on the road in great condition! 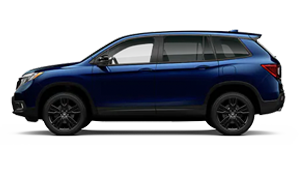 The all-new 2019 Honda Passport provides an exciting new option for anyone looking for a great family SUV, and even earned a Autotrader's ‘Best New Car for 2019’ award! Here are a few frequently asked questions and some answers about your Honda's timing belt or timing chain! The 2019 Honda Odyssey was recently named the Best Minivan on U.S. News and World Report's "Best Cars for Families" awards! From road trip games to back-to-school shopping, a minivan like the tried-and-true Odyssey can be invaluable to a family on the go. We are here to help! Whether you just have a question about a vehicle or you need to schedule service, get in touch and Buerkle Honda will answer.